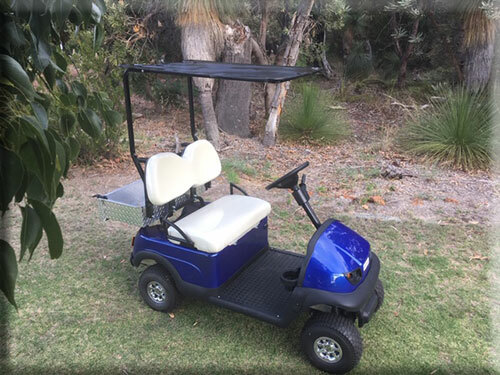 We are very pleased to announce the release by MiCaddy of what we believe to be the best multi-purpose electric cart of this size available in Australia today. 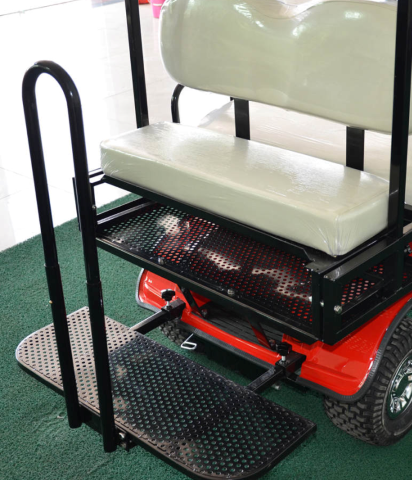 We have been importing electric buggies since 2005 and believe that this cart represents great value in terms of ease of operation, quality, reliability, performance and down to earth value at $4250. The MINI MATE is the little brother to the FARM MATE (www.myfarmmate.com.au) and the GOLF MATE. ( www.micaddy.com.au ) It is equally at home as a golf cart, a Light Utility Vehicle on small acreages or in commercial applications such as Lifestyle Villages, schools, colleges, wineries, plant nurseries, horse properties or in fact almost anywhere that quiet reliable pollution free mobility is required. 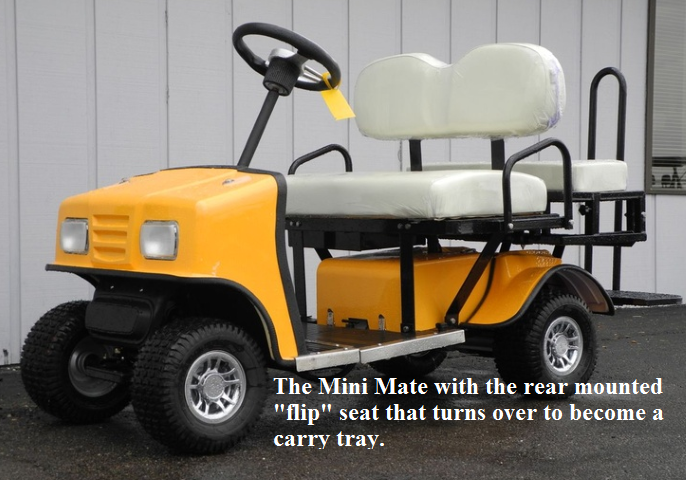 large numbers of these carts are sold in the USA for various applications. Details are available on request. One pedal for power and braking. Regenerative braking: Automatically applies braking as power is decreased. Electromagnetic park brake: The park brake automatically engages when the cart stops and releases when power is applied. Maximum speed 13 KPH: Speed can be reduced if required. Quality battery charger: Essential to ensure maximum battery life. Flip seat/tray for rear mounting.